Underlying tensions between Sunni and Shia in the Middle East have escalated to full-scale crises in the past few years in countries such as Iraq, Lebanon, Bahrain, and, most recently, in Saudi Arabia. Although they only represent 15% of the overall Saudi population of more than 25 million, Shia are the dominant population, according to the International Crisis Group, in key towns such as Qatif, Dammam, and al-Hasa, which are home to the largest oil fields and processing and refining facilities. In February, clashes between Shia Muslims and the religious police in Madina, Islam's second holiest city, triggered a wave of unrest, resulting in the arrest of dozens of people. Tensions were eased by King Abdullah's decision to release all the detainees but the situation remains volatile. Many Shias in Saudi Arabia relate far more to fellow Shia in Iraq, Iran, Lebanon and Bahrain, than with fellow Saudis who follow the puritan Wahhabi form of Islam. 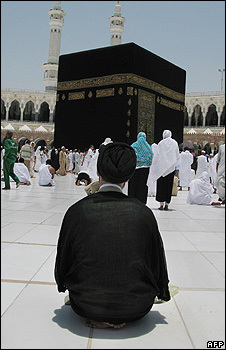 Wahabbis often class the Shia as heretics, or even to have left the faith entirely. And at a time when many Arab officials point to the predominantly Shia Iran as the most serious security threat they face, there is a general attitude in the Arabic media that suggests Saudi Shia are somehow led by or follow an Iranian agenda. But Saudi Shias deny this and say they face unfair discrimination. Accusations of discrimination are backed by many western governments, led by the United States, which repeatedly express their concerns about religious freedom in Saudi Arabia. In 1913 King Abdul Aziz Ibn Saud, founder of the kingdom, promised Shia safety and freedom of worship when their representatives swore allegiance to his government. But Tawfik al-Saif, a Saudi political activist, told the BBC that he does not think the promises were honoured. "There are lots of problems each of which has the potential to trigger unrest. However, the Saudi elite, both the Shia and Sunni, is determined to stop public disorder whether motivated by internal or external agents." Mr Saif believes that only if the government introduces wide-reaching political and social reforms can long-term stability be achieved. Shias want equal opportunities in government and the military as well as freedom of worship. They want to be able to build their own mosques, have their civil courts granted more power and to print their own religious books. The Shia of Saudi Arabia have not been able to avoid the effects of instability in the region. In 1979, the leaders of Iran's Islamic revolution called for change across the Middle East. The calls lead to Shia protests Qatif, and dozens of people were killed. During the 1980s, sectarian tensions led many Saudi Shia to go into exile, mainly to Iran, Syria, the UK and the United States. The US invasion of Iraq in 2003 which brought that country's majority Shias to power, resulted in calls for equality in many countries in the Gulf. Shia liberals, including left-wing intellectuals, are a relatively small minority within their community and are far less organised than the Islamists. Nevertheless, religious activists have combined with their liberal coreligionists, as well as Sufis, to call for more respect for human rights in Saudi Arabia. 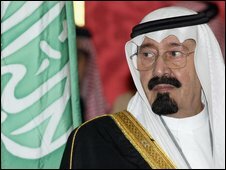 In its report, entitled The Shia Question in Saudi Arabia, the International Crisis Group said that King Abdullah, widely believed to have been at the forefront of efforts to engage Shia and promote their integration, may now be in a position to effect greater change. But the leaders of a newly established opposition movement, Khalas (Deliverance), say that during the past 15 years there have been plenty opportunities for the government to reform its policy towards the Shia but they have been found wanting. Dr Fouad Ibrahim, a Saudi activist based in London, says the recent murmurings in the Eastern Province could be described as a manifestation of disappointment among Shias who have waited for promised reforms for so long. "Activity by the opposition both at home and abroad are clear indications of the need for change and for an end to deeply rooted grievances which the Shias have suffered," Dr Ibrahim told BBC. Dr Ibrahim says the Saudi government has failed to integrate the Shia with other minorities, including the Ismaili community in the South and Sufis in the Hijaz. But Mr Saif believes that while the Shia want an end to discrimination they are committed to negotiating a settlement to their grievances.